Saga loves to learn, read, and make music. But what Saga craves most is adventure. In an epic tale inspired by Scandinavian folklore, Saga journeys deep into the wood where she meets Fossegrim and Nøkk, two shapeshifting siblings with magical powers. Playful fun for the whole family! tickets will be available through the fringe theatre adventures website in august, 2018! Megan Dart is a playwright, poet, and, alongside her sister Beth, is the co-Artistic Producer of the award-winning indie company Catch the Keys Productions, best known for its site-specific, immersive theatre creations. Recent playwrighting credits include Charlie Horse (shortlisted for the 2018 Alberta Playwrighting Competition), Dead Centre of Town (Catch the Keys Productions; recipient of a 2017 Award of Excellence from Interpretation Canada), and Ursa Major (Catch the Keys Productions & Workshop West Playwrights’ Theatre, nominated for four Elizabeth Sterning Haynes Awards, including Best New Play). This is Megan’s first time penning a musical for young audiences. She is wondrously in awe of the Alberta Opera family, and exceptionally grateful for the generous mentorship and guidance provided throughout this process. She thanks Leif from the bottom of her heart for inviting her along on this exciting adventure, and, as always, thanks her beautiful family Matt, Alice, Nola, and Beth for their unending support. Catch the Sisters Dart in Fort Edmonton Park after dark this October, 2018 for the 11th annual Dead Centre of Town, Edmonton’s only live action immersive horror show inspired by true history. Leif is a musician, sound designer, writer and improviser. Past credits include Ursa Major (Catch the Keys/Workshop West), Pawâkan Macikosisân (Theatre Prospero), Over Her Dead Body (Small Matters). Silver Arrow: The Untold Story of Robin Hood (Citadel Theatre). He’s very excited to be finally sharing Fossegrim & Nøkk with you and hopes you enjoy! Beth is an Edmonton based director, producer, lighting designer and theatre collaborator. She is the co-artistic producer of award-winning indie theatre company Catch the Keys Productions, best known for DEAD CENTRE OF TOWN, an annual site-specific theatre experience inspired by the true crime and ghost stories of Edmonton’s past, and the recipient of an Award of Excellence in Interpretation from Interpretation Canada. She is the artistic producer of Common Ground Arts Society and Found Festival, Edmonton’s only multidisciplinary found space and site-specific arts festival. Beth is passionate about collaborating on new work. Select directing credits include OCD, FUNCTIONAL, and GEMINI by Louise Casemore (Defiance Theatre), 900 SECONDS by Christine Lesiak (Small Matters Productions), JEZEBEL AT THE STILL POINT by Ainsley Hillyard (Bumblebear Productions), and SNOUT (Catch the Keys/Azimuth) and URSA MAJOR (Catch the Keys/Workshop West Playwrights' Theatre) by Megan Dart. Erik is a musician, composer, improviser and music director based in Edmonton. He has been recognized with 2 Sterling awards for his original score of “Sleeping Beauty”(Capitol Theatre) and for his music direction, on “The Last Five Years” (Theatre Network), and was nominated on four other occasions for “Peter and the Starcatcher” (Citadel Theatre) “Women on the Verge of a Nervous Breakdown” and “Drat the Cat” (Plain Janes) and “Honk”(Grindstone Theatre). Erik’s composed scores include “Robin Hood”, “Jack and the Beanstalk” and “Cinderella” (Capitol Theatre) and “Kill Shakespeare with (Thou Art Here Theatre). Recent work includes “Kill Shakespeare” (Thou Art Here Theatre), “What Gives” (Teatro la Quindicina), “Songs of the Martingale” He has music directed with the Citadel Young Company, Alberta Opera and is house rehearsal pianist at Citie Ballet/Edmonton Ballet. Erik has had the pleasure to collaborate with some incredible songwriters including Andrea House and Dana Wylie. He performs regularly as a solo pianist, studio musician. He has had the opportunity to work with improv companies including Rapid Fire, Die-nasty, Rocket Sugar Factory and IBugairdini. He has music directed for RFT’s “Off book the improvised musical” and the “11 O’clock number”. Erik has had the opportunity to play the NY musical improv Festival and tour the North American fringe circuit with these improvised musicals. Erik has had numerous opportunity’s as an educator including stints at The Foote theatre school and the summer camp Wordsworth. Erik is a student of musical language and the pursuit of growth and continued learning have always been valued in his work. Rebecca is a performing artist, choreographer, and dance instructor based in Edmonton, Alberta. She has performed with Alberta Aboriginal Arts, Punctuate! Theatre, Mile Zero Dance, Nextfest Festival, Feats Festival, the Common Ground Found Festival, Edmonton Fringe Festival, Toronto Fringe Festival, and Dance Ontario. She teaches dance with dancED Movement Projects, the City of Edmonton, and Mile Zero Dance Outreach. 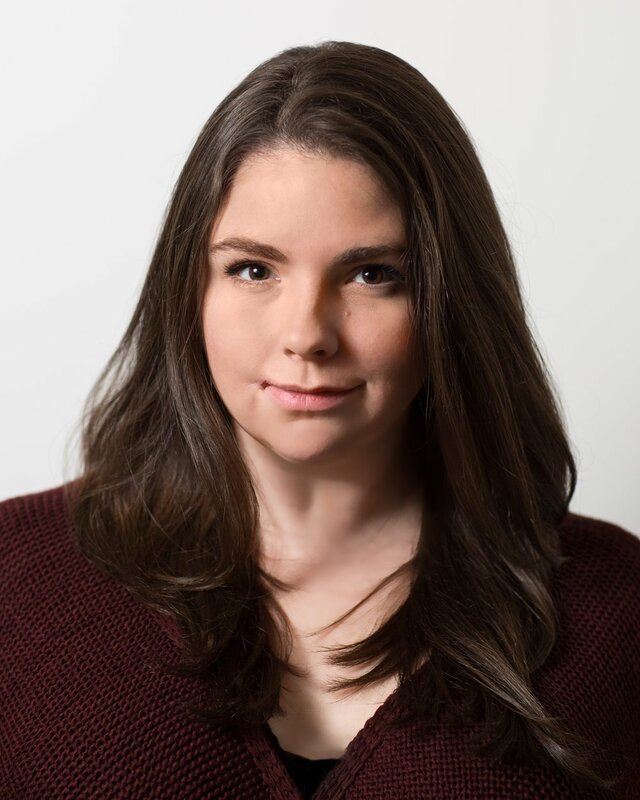 Rebecca has a Bachelor of Fine Arts in Dance from Ryerson University, and has performed with various theatre companies in Toronto including the Lower Ossington Theatre, Solar Stage Children’s Theatre, and Creativiva Incorporated. She continues to created work inspired by her Métis heritage and teaches workshops on Métis style dance. She is thrilled to be working with Thou Art Here Theatre, and Alberta Opera this summer! Bevin is delighted to be working with the Fossegrim and Nøkk team this summer! In addition to her work as a dramaturg, she is also a playwright, whose work has been presented at the Dublin Fringe Festival, the Edmonton Fringe Festival, and SkirtsAfire. Next season, she will be joining Workshop West Playwrights’ Theatre as one of their playwrights-in-development. Bevin also works with young writers at Camp Wordsworth (Writers’ Guild of Alberta) and with playwrights across the province in her role as Artistic Associate at Alberta Playwrights Network. Izzy has recently graduated from the University of Alberta, and holds a Bachelor of Fine Arts in Technical Theatre majoring in Stage Management. 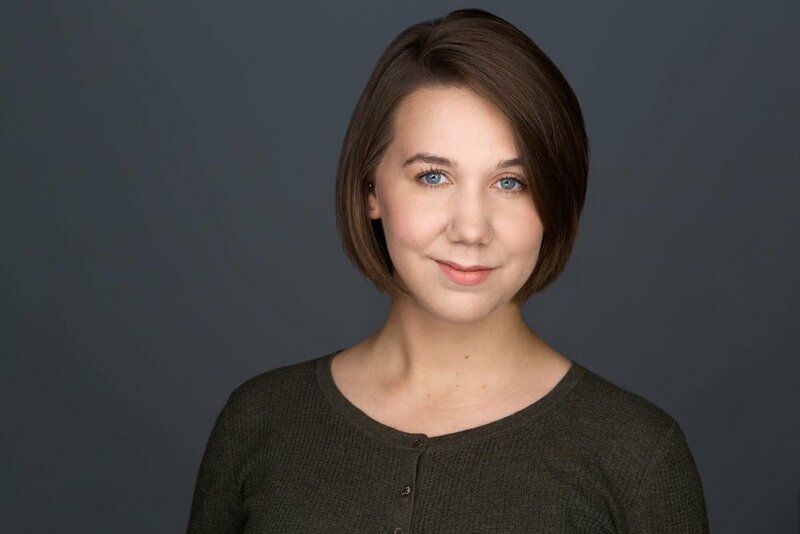 In the past few years she has had the pleasure to work with Catch the Keys Productions, Opera Nuova, Blarney Productions, Praise Doris Productions, Theatre Network, and on festivals such as StageLab Festival, Nextfest + Dancefest, Foundfest, Freewill Shakespeare Festival, and on various productions at the University of Alberta. Izzy is thrilled to be working with Alberta Opera for the first time this season on Fossegrim & Nøkk at the Edmonton International Fringe, and on Pinocchio this fall. Elise Jason [they/them/theirs] is an Alberta-based Theatre Designer and Installation Artist, and recent graduate from the University of Alberta's Bachelor of Fine Arts in Theatre Design program. They aspire to integrate sculpture and installation into theatre, as well as connect with the audience through interactive, non-traditional performances and experiences. Interested in working primarily with stories of queerness and the experience of the modern other, Elise is interested in a diverse spread of work and non traditional practices. Recent credits include: After Miss Julie (University of Alberta), Queers on Queerz: The Mechanical Cabaret (Nextfest), and On the Margin (Found Festival). My name is Darian Ames and I am a second year student at MacEwan University. I am 19 years of age and originally from Red Deer, AB. I would love to thank everyone involved with the creation and putting on of this show! It had been a blessing working with everyone and I hope you enjoy the show! Fiona is very excited to be part of Alberta Opera's new musical Fossegrim & Nøkk at the 2018 Edmonton International Fringe Festival! She has just recently completed her second year in the BA Drama program at the University of Alberta, and will be pursing musical theatre at Randolph College for the Performing Arts in Toronto this September. Her most recent credits include Natalie from Next to Normal (Walterdale Theatre, July 2018), Beth from Little Women (Foote in the Door, 2017), Sweeney Todd (ELOPE, 2017) POL, and Pomer and Penelope (New Works Festival). Fiona enjoys playing guitar, singing, clowning, and watching cat videos in her free time. Marguerite Lawler is an Edmonton-based actor, improviser, singer and comedian. Currently entering her fourth and final year of the BFA Acting program at the U of A, Marguerite is ecstatic to be a part of such a lovely team of some of her Edmonton idols during the summer and thanks them endlessly for the opportunity! Marguerite is an improviser with RapidFire Theatre, doing weekly shows of Theatresports, as well as in OffBook the improvised Musical, Resonance, LOLmandy, Sphinxes and more! She also dabbles in writing jokes in sketch and stand up comedy. You can see her in other shows at the Fringe (OffBook, Concord Floral and the Big Stupid Improv Show), and in Lenin’s Embalmers with Studio Theatre in the fall. She hopes you join in on the absolutely delightful adventure that is Fossegrim and Nøkk! 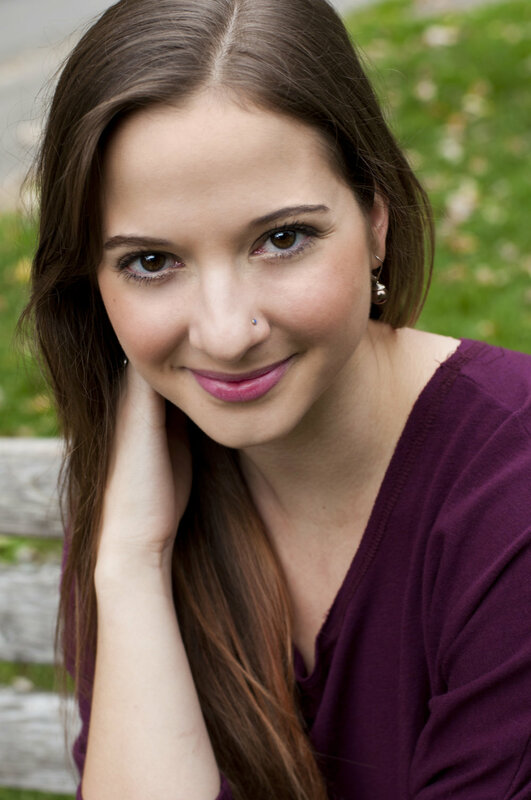 Kristen Schaeffer is an Edmonton transplant from New York currently studying Theatre Arts at Macewan University. Recent credits include: Sondheim on Sondheim (Edmonton), Lion in the Streets (Edmonton), Heathers: The Musical (New York), Ziggy Stardust (New York), 25th Annual Putnam County Spelling Bee (New York). She has spent recent years working on her original music in Los Angeles with cowriter/producer, Chris Keup (Jason Mraz, OAR, Parachute); and has put out two albums (Bluebirds, Bloom) available for streaming and purchase on Spotify, iTunes and Apple music. She is beyond excited to be making her Fringe debut with the Alberta Opera and looks forward to bringing this sweet story to life!